I had some business in Old Norwood Park, Chicago and finally took a picture of the ghost sign for James A. 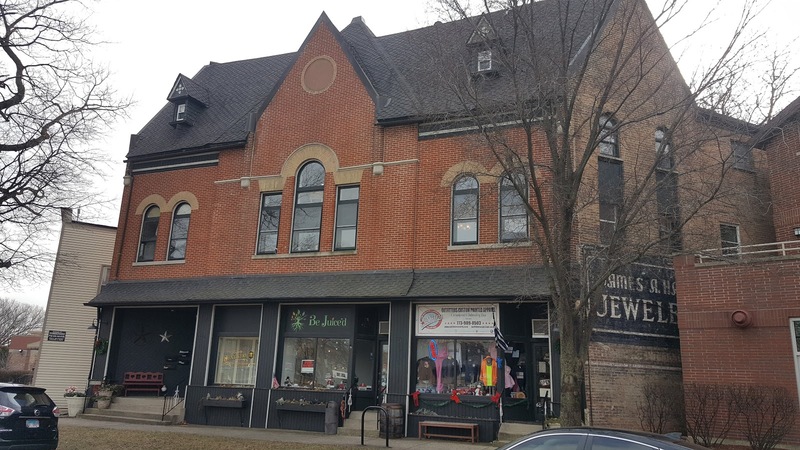 Hall Jeweler at 6048 N Avondale. 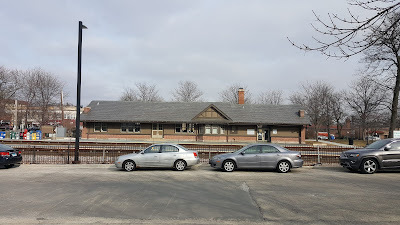 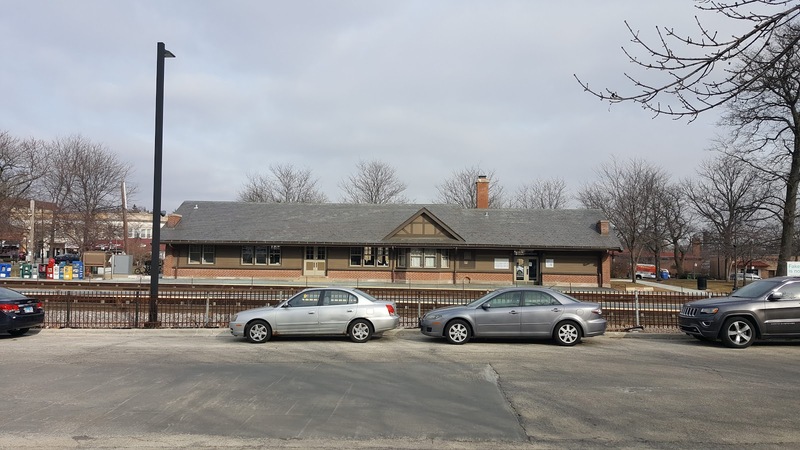 The building itself dates back about 128 years and is located in a National Register of Historic Places across the tracks from the Norwood Park Metra station. I don't have any information on the James A. 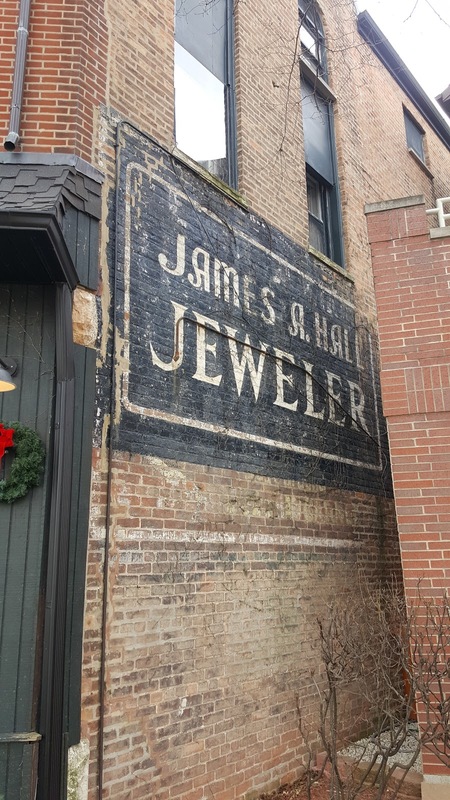 Hall Jewelers. 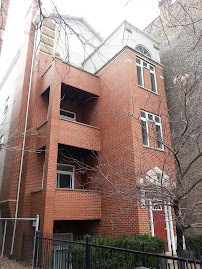 The building adjacent to the north partially blocking the sign was built about 15 years ago. 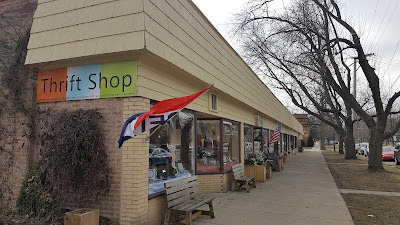 The building has two storefronts at 6046 and 6048 North Avondale. Norwood Park National Registry of Historic Places boundaries West Bryn Mawr, Nagle, Avondale and Harlem. 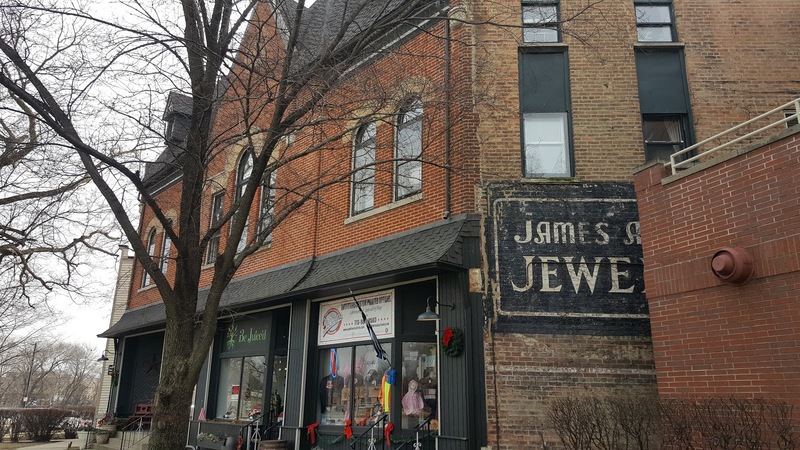 Norwood Life Society Thrift Shop 6019 North Nina around the corner from the vintage ghost sign caters to seniors. A handful of local businesses cluster around the Metra station. 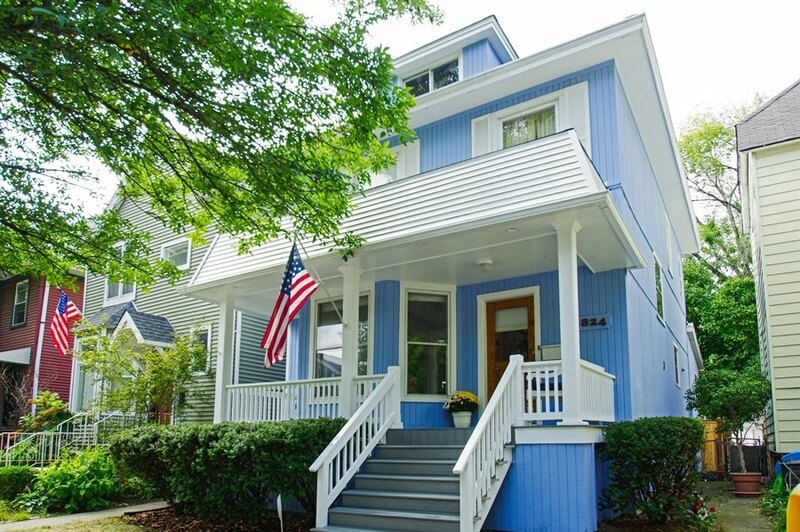 28 single family homes in the "Historic Places" boundaries were recorded as closed in our MLS (MREDLLC.com) with a median sales price of $465,000. 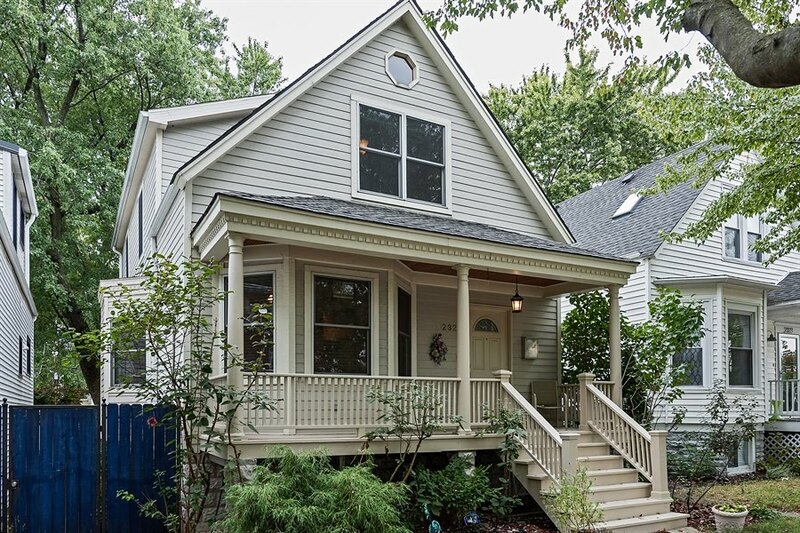 This is a relatively affordable North Side neighborhood price point near transit, good schools and shopping/ dining amenities. 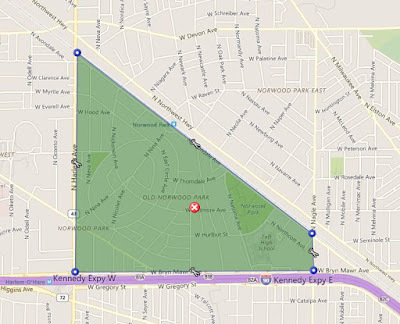 I'm sure ol' James made a killing with the well to do residents here at one point. 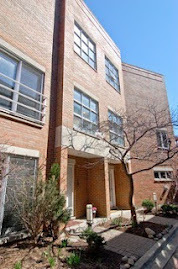 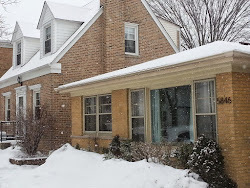 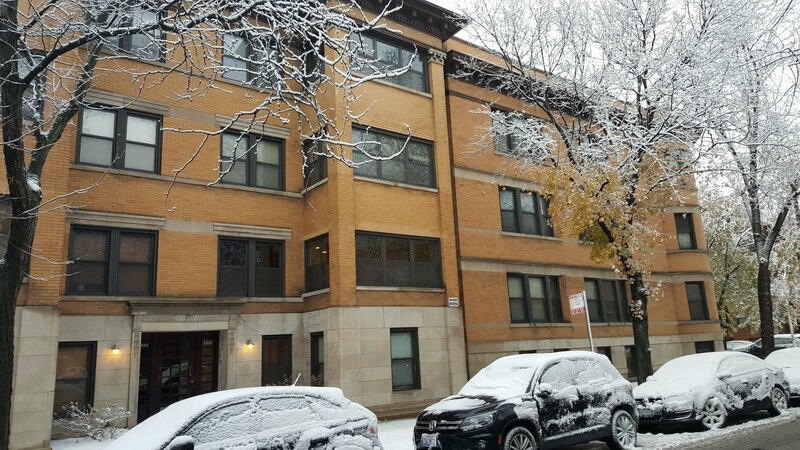 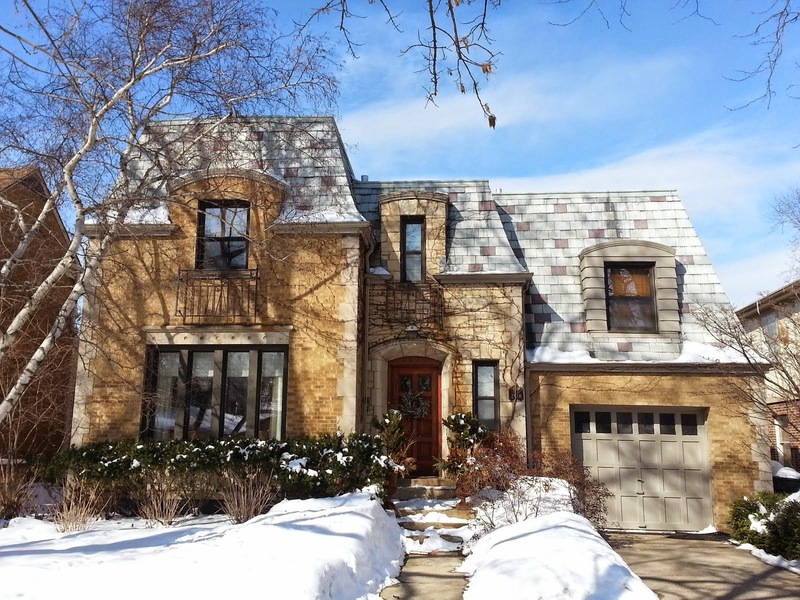 The highest priced closed home in 2008 in the was 5912 North Nickerson Chicago IL 60646, a short sale, for $777,000. 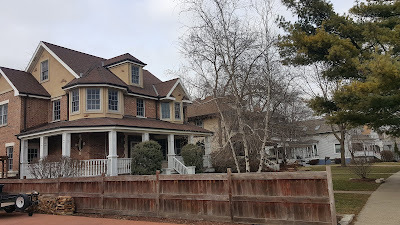 I happened to get a picture of that house above. 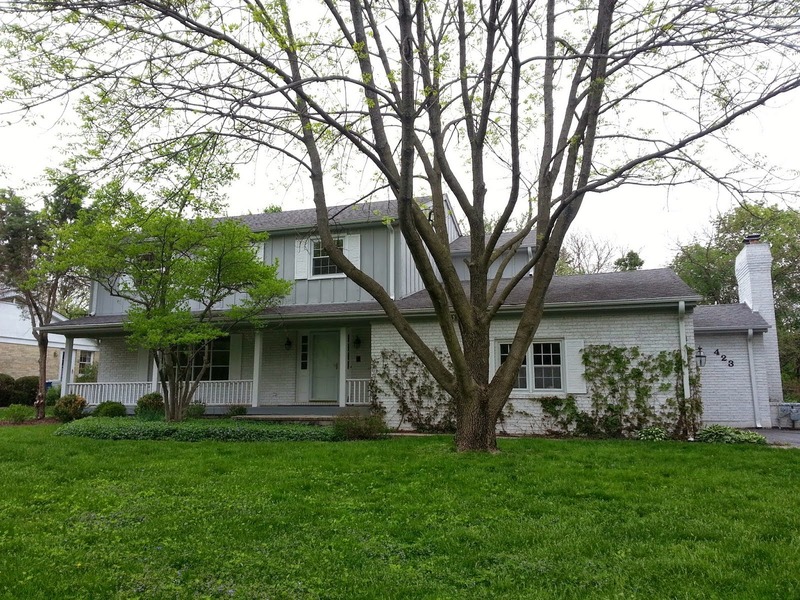 The six bedrooms home is great condition sits on a 50'x200' lot with outdoor pool. 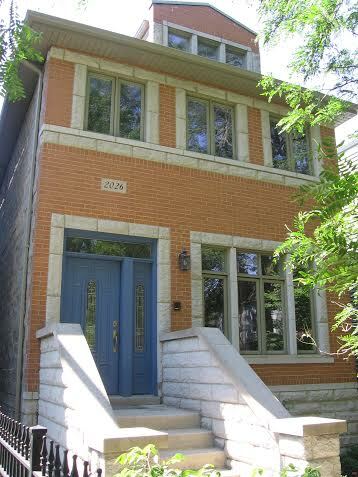 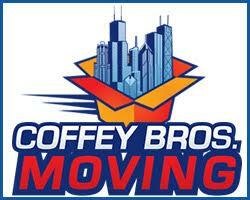 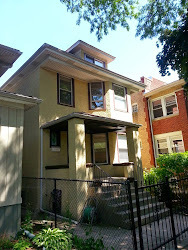 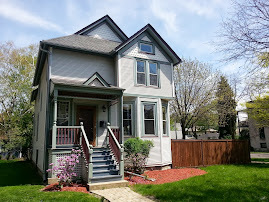 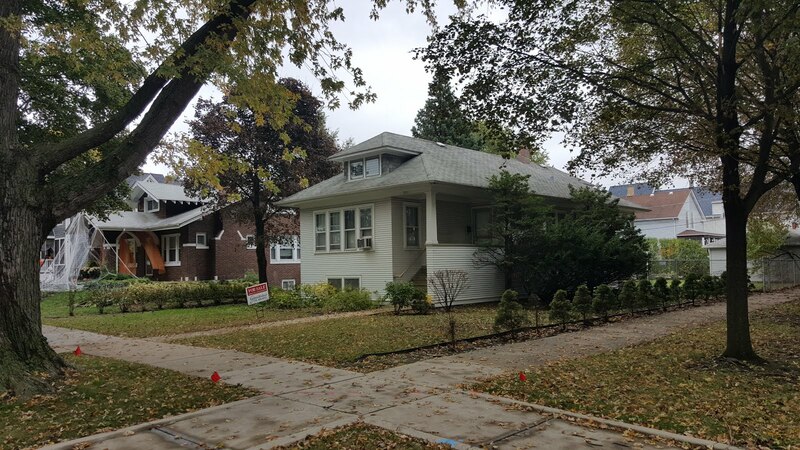 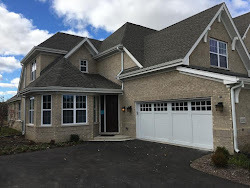 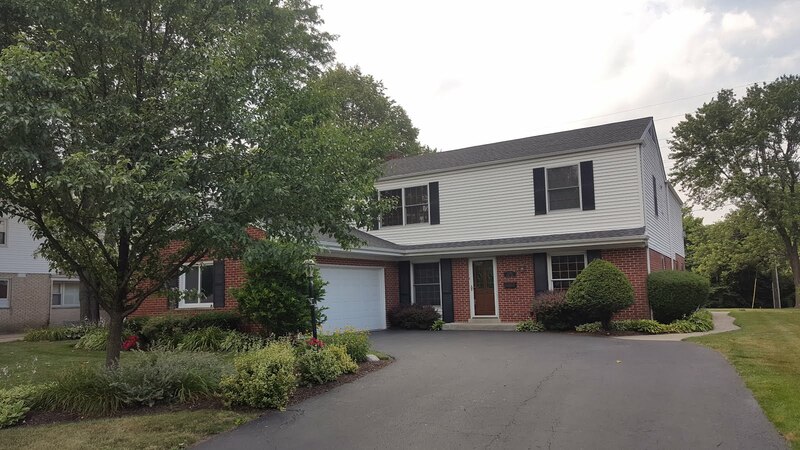 The lowest priced sold home was 5644 North Nagle Chicago IL 60646 for $275,000. 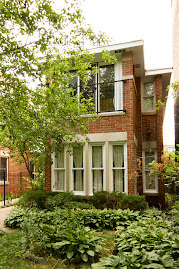 The Georgian style three beds, one bath home is tucked into the outer edge of the Historic District just east of Taft High School.